The Wolseley: High Tea in Style • Tips, Trends & News in 60 Seconds or Less! No trip to England is complete without taking part in high tea! It’s a delicious way to spend your afternoon with friends or family. A whole selection of delectable goods is placed in front of you and divided by layers. The top layer usually features scones, ready to be smothered in hearty layers of clotted cream and jam. Tier two features a handful of different sweet treats. Cheesecakes, chocolate tarts, meringues, and more can be find here. Lastly, the bottom layer is home to an assortment of finger-sandwiches. Cream cheese and cucumber, roast beef, curried chicken, and mozzarella and pickle are just some of the most popular fillings for these dainty delicacies. Don’t forget about the endless cups of tea with cream that wash down all of this! High tea is a culinary experience that everyone should get a chance to have. The only downside is that this can be very expensive. 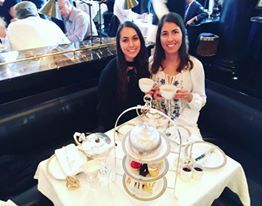 A stunning estate located right on Piccadilly, the Wolseley offers a posh and elegant high tea for an incredibly affordable price. Thirty pounds is the going rate for afternoon tea here. So much more affordable, yet just as luxurious as the competition! A reservation is a must and the dress code is a bit more formal than the usual eatery in London. Make sure you’re dressed the part and you come very hungry! 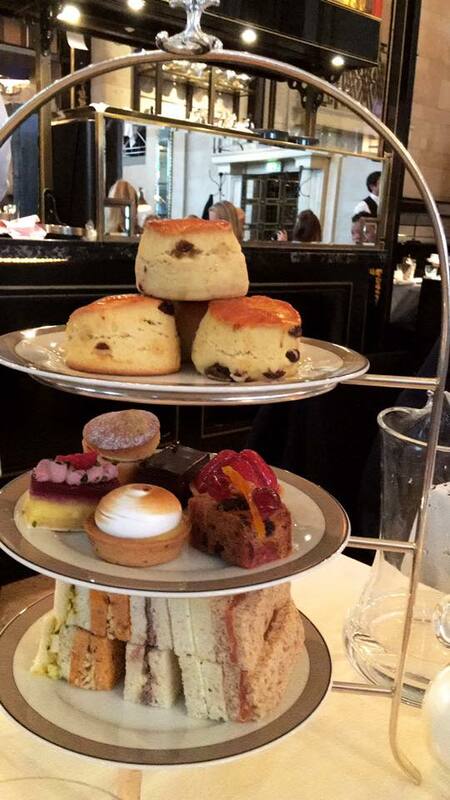 High tea is not to be missed and neither is the Wolseley!